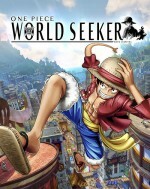 One Piece: World Seeker by BANDAI NAMCO Games America Inc.
One Piece: World Seeker is rated 3.8 out of 5 by 78. Over the past 18 years, the anime/manga One Piece has received myriad video games across numerous genres. Among all those adaptations, World Seeker represents what is easily its most ambitious attempt to emulate what it might be like to be Luffy and be part of his Straw Hat crew. World Seeker may lack the detail and technical prowess of its open-world peers, but it delivers fun combat and exploration in an open environment with an enjoyable story to pull you along through the whole journey. It all starts when Luffy and his crew, in their ongoing mission to acquire treasure, end up on an island that is home to multiple large pirate prisons. When it turns out the rumored treasure was just a ploy to get the Straw Hat crew to come to the island, Luffy escapes capture and decides to help the citizens get their homes back. This means getting in the middle of a decade-long conflict between those who appreciate the overbearing presence of the Marines on the island, and those who detest it. The prison island setting also serves as an excuse for some of Luffy's familiar opponents to appear as bosses or fun cameos. The story feels like One Piece all the way, which is a compliment. Luffy and his crew are familiar with standing up for those in need regardless of the conflicted histories that plague the islands they visit. Whether or not World Seeker is canon to the larger One Piece story (which is never explicitly made clear), this tale feels like it could be. The thrill of moving through the world is World Seeker's biggest highlight. Whether Luffy's grabbing the sides of buildings or the tops of trees, his rubber arms propel you through the environments at high speed. It feels great, and after acquiring some upgrades, zipping from point to point lets you cover tons of ground quickly. Plus, it looks awesome. I enjoyed it so much, I often chose moving around that way instead of using the fast-travel system.